On this page, we will offer multiple recommendations of books that are useful for the reader in understanding the Old Testament. Entries are in alphabetical order by author. Although this book's title indicates a focus on corporal punishment, it's much more than that: It's also a primer on reading the Bible contextually (read: not like a fundy, or a fundy atheist). Webb combines this with what he calls a "redemptive-movement approach" to certain Scriptures on punishment (which amounts to something I said elsewhere, indicating that the text should be understood as didactic in a "Martin Luther King" way, rather than a "Malcolm X" way). In terms of the specific topic, Webb notes that Christian advocates of corporal punishment today, although they appeal to the Bible for support, are unwittingly already advocating such an approach, since they do not follow the text literally (save for some wacko fundy types). It's also not entirely about corporal punishment applied to children; it also deals with several texts that have to do with adult corporal punishment, with special focus comparing the Biblical prescriptions to other ANE prescriptions (something Paul Copan did a bit in his Is God a Moral Monster?). I was especially pleased that Webb verified my findings in an E-Block series that it was pro-slavery advocates in America who read the text in a "fundamentalist" way, and that he advocates pastors being better informed in contextual studies. So, despite the title, the focus of this book is much broader and of much greater value than it seems. Highly recommended as a headache for fundies and fundy atheists alike. I don’t give praise to too many books, but this one decidedly deserved it. It reads like essays written by Glenn Miller or myself on those (yawn) OT atrocity stories, except simpler: More in that sense like one of my YouTube videos, trying to bring the complex issues down to a level the average person will understand. Lamb is a professor of OT, but he writes with a flair and familiarity consistent with an apologist who is also a good communicator. Popular culture references – you got ‘em. (Who would expect a book on OT issues like these to allude to sitcoms like The Simpsons? I would –it’s the sort of thing I’ve been saying we need to do!) A good number of the favorite objections are covered, though some are not (for example, the story of Jephthah’s daughter isn’t covered). The only reservations I have may or may not have to do with that aspect of the book. Though Lamb frequently cites cultural norms of the OT period as relevant, I would have liked to have seen more background on things like ritual purity, and honor and shame, and how they related to these issues. And perhaps it would have been nice to have seen some treatment of some of the more absurd arguments made by certain atheist quarters (e.g., one opponent of mine asked why God didn’t just turn Amalekite weapons into bananas – as if that would have stopped anything!). But I may be too demanding there; Lamb takes on the New Atheists, and even the Infidel Guy at one point. And when it gets down to it, there’s no answer necessary when the only argument the atheists offer amounts to complaining (but not explaining) how unfair God is. An excellent starter book for readers interested in these issues. "Copan and Flannagan have provided an excellent gift to the church in this book. Anyone interested in studying the conquest of the holy land and wanting to deal with the question of religious violence in general will be greatly benefited by reading this book and keeping it in their library. For a long time, Glenn Miller’s ThinkTank articles on OT ethical issues has been my gold standard for that subject, but they’re often been too complex or long for many readers to handle. This new resource by Paul Copan bridges the gap and can be a good resource for someone not quite ready for Miller’s heavy-detailed approach, but also needing something to say to those merely passing off the pap they get from the New Atheists (who are the ones who inspired this response by Copan). Copan uses a number of arguments that the reader of Tekton and ThinkTank material will find familiar. I went through the book yesterday while waiting for my car’s oil change to get done (yep, I keep busy even then with this sort of thing) and was glad to see that Copan had done an effective job in bringing out some of the more important points such matters as ritual purity, “weird” Biblical laws, slavery, women in the OT, and the alleged “genocide” texts. I would not use all of the arguments Copan does, and I think it would have been helpful for Copan to delve into the agonistic tenor of the Biblical world, as the dialectic of honor and shame can go a long way towards supplementing some of the arguments he uses. And of course, having just issued my response to Stark’s petulant Human Faces of God, I will have to note that Stark offers some attempt at reply to Copan and one of his sources, Christopher Wright (though not necessarily very well). But if we take this book the way Copan intended – as an accessible, popular-level investigation – it succeeds admirably. I’ve included it in Tekton’s resource listings for OT books. Two words summarize this classic's relation to the serious Christian student's bookshelf: ABSOLUTELY NECESSARY!! Don't take your date to a fancy dinner -- take her instead to McDonald's and use the saved money to buy this book! Mortgage the home a second time to buy this book! OK, the above paragraph is excessive in its hyperbole, and your chances of finding lasting love will suffer if you take the above too seriously, but this book stands alone and above all other books on the Old Testament. This book is an unabashed conservative evangelical text on all of the issues surrounding the development, canonicity, authenticity, authorship, etc., of each of the OT books. Now this book does not interpret the OT through a conservative filter of thought: Instead, it presents ALL of the relevant evidence for and against claims of the various higher critics over the last two centuries. 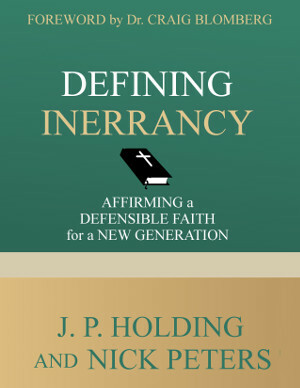 The diligent reader who is truly unafraid to grapple with the higher critical OT theories and can handle the possibility that what orthodoxy teaches is wrong or contrary to the evidence will find this book a veritable treasure chest of information, archaeology, history, cultural development, and theology. And, those who approach this book allowing the higher critics the possibility that they might be right in some areas will see that the negative higher critical views of the OT stand on the flimsiest and most circular pieces of evidence. In other words, the conservative view is vindicated in an honest and forthright fashion. Over 100 pages are spent discussing the history, origin, and developments of the various documentary theories of the Pentateuch and OT documents. Archer gives a devastating critique of the Wellhausen theory and at the same time provides an argument for Mosaic authorship of the Pentateuch (or almost all of it) that is common sensical, philologically, and internally supported by the text, archaeology, and non-circular reasoning. The evidence is presented fairly. The unbiased reader cannot accuse Professor Archer of being one sided. Archer is a master linguist. He knows 30+ languages, and he puts his encyclopedic linguistic knowledge to great use in the text. The discussion of the individual books of the OT is very comprehensive and filling. For example, everybody from layperson to Th.D. could profit from reading the thorough discussion of Exodus and the debate about who the Pharaoh of the Exodus was. Those who are pressured to deny the unified Isaianic authorship of Isaiah in favor of two or more ``Isaiah'' prophets should see his marvelous discussion of the issue. Problems still facing the evangelical OT scholar today (such as the exact locations of the people listed in the Genesis table of nations and the scientific problems that are raised by a global flood) are presented openly and honestly. The cultural background of the OT is presented in readable terms. Never, ever, does Archer obscure what he wants to say with technical jargon. He writes clearly and compellingly. I could praise the book more, but I will stop here. Read this book side by side with a liberal OT introduction and see for yourself which position squares with the facts better. I daresay that the liberal student who is open will find himself challenged and stimulated, and the conservative student will likewise find himself challenged and stimulated, but will have his faith in the Lord who affirmed Mosaic authorship of the Pentateuch with the words "Moses wrote concerning me..." strengthened. This book will also enable the sincere conservative student to have honest dialogues and conversations with those of the liberal persuasion. I have been reading Tektonics.org for a few years, and my interest in apologetics has only increased since I became a Christian. I enjoy reading the articles of JP Holding, Glenn Miller, and the Venerable Bede, and other prominent Christian writers on the internet for the concise, valuable information they give on apologetics and the knowledge that I can attain through reading their works. However, as a sophomore in high school, I often don't have the adequate time needed to sit down and read lengthy articles on the internet or detailed books written by reputable scholars. (As I am writing this review, this isn't the case, because I am off for the summer break). It is not infrequent that I only have time to come off, "chill" for a few minutes, read my Bible, and then take a "dive-in" to my daily homework for the rest of the night. One might assume that I am not learning anything relevant to Christian apologetics when this happens, and one would normally be correct about this. That's where the Archaeological Study Bible comes in. It is a Bible that is edited by numerous scholars and has enough notes, and articles to keep an interested reader busy for months! This Bible comes complete with five-hundred articles and over eight-thousand footnotes relevant to the text. The articles are never longer than a single page of information, so it's not like you're ever reading detailed, technical information on a certain topic. The advantage is that it accurately covers the broad details of a topic, which gives the reader a base of knowledge from which to work on becoming more knowledgeable in certain fields of interest. Now, from the title, one might get the impression that this Bible only deals with archeology, and while there is a definite focus on this area, that is not the exclusive area that this Bible dwells on. As an example, a few days ago I read an informative, accurate article in the Archaeological Study Bible about the authorship of the Petrine epistles. Whenever there is a skeptical objection to Biblical accuracy based on evidential grounds, there is almost certainly an article to be found that addresses it. There are articles addressing, but not limited to, the historical reliability of the patriarch accounts in Genesis, the historical reliability of the Exodus, the archaeological evidence that validates the accounts of the judges, the authorship of the Pentateuch, the extra-Biblical references to Jesus, and much more. As a primer on Biblical reliability, the Archaeological Study Bible is fantastic. The only qualm that I have with this work is that it is true to its name, which means that it sometimes has information that I would consider relatively irrelevant to what I am interested in. For example, there are footnotes in the text describing architectural styles of ancient buildings, the design of wells used in the Biblical period, etc. I am certain that this information would interest some readers here, but personal, I would rather see that space being used to inform about more relevant aspects of the Bible. This is an extremely minor qualm, and it does not affect my overall view of the Archaeological Study Bible as being fantastic. In short, the Archaeological Study Bible is a valuable resource that gives up-to-date, scholarly information on a wide variety of valuable topics in a concise, easy-to-read manner that is neither "dumbed down" or intimidating. If you're like me, when you are without an internet connection and only have your Bible available, you will appreciate the purchase. The author of this review tragically passed away in December, 2008. Block's study consists of an examination of how ancient Near Eastern peoples understood the relationship between themselves, their gods, and the land they lived on -- and the three are much more interrelated than we might suspect. Ever wonder why Namaan wanted piles of dirt to take home with him (2 Kings 5:15-17)? It's because Yahweh owned the land, and he figured, in line with the perceptions of the time, that you could only worship a deity properly if you had some of the dirt the deity laid claim to. The gods of the ancients were viewed more or less as landlords -- and people were their tenants (in other words, feudalism). If the gods were displeased, your land suffered for it -- though unlike the pagan gods, Yahwah at least laid down his rules; the rest of the gods didn't bother telling their people what they could be doing wrong. The data Block offers gives us input on a number of issues: Why there were such stringent rules against moving boundary makers (because property was thought to be given by divine decree; moving them amounted to a shaking a fist in God's face); why Yahweh had every right to have the Israelites drive out, and if necessary kill, the Canaanites (they were squatters on land that was not their own, by divine decree); why the Philistines were so happy when they got the Ark (and why they were so shocked when Dagon ended up flat on his face). We recommend Gods of the Nations for precious sociological insights into the OT world that will help make better sense of the OT for we have have lost so much understanding of it. The next time someone objects about the Bible containing admonitions to beat lazy children, use this book as a reply. As a society, we have lost the realization that for the ancients, education wasn't simply a matter of teaching times tables so we can get a job selling timeshares: Education was a matter of survival, of ensuring that what there was of civilization did not slip over that fine line from order into chaos. Thus all of the Ancient Near Eastern wisdom literature is filled with pithy sayings along the lines of, "A student's back is his ear." Even as today students had to be taught to want to learn -- the only differences are that the options for distraction have become more diversified (i.e., video games, versus, i.e., trips to the prostitute's house), and most of us aren't perceptive enough to see through our society's complexity to know that chaos is just as possible here and now. We don't see a reason to associate severity with education, but if we wait long enough and have enough school shootings, perhaps we will. Education in Ancient Israel is not about things like educational processes in the ancient world and what kind of pencils they used. Rather, it is mainly an examination of attitudes towards education, and its role in ancient society (not just Israel, despite the title). It is an examination also of perceptions about knowledge and wisdom (they knew, as we should know, that one does not mean the other), and about the prize of literacy (which was enjoyed by fewer than 10% of ancient people, and in some nations, probably less than 1%). It is, finally, for apologists, a reminder that Skeptics are reading the Bible only through their own social lenses. I award Crenshaw a slightly lesser rating than I would because his writing style is very dry, and there is also a two-page, misplaced excursus fundamentalism. But then again, this is not intended to be easy reading. We often have to earn our education as much as the ancients did. William Dever, What Did the Biblical Writers Know and When Did They Know It? Philip Jenkins' Hidden Gospels is a book by a scholar of moderate persuasion who had had it up to the proverbial here with revisionists like the Jesus Seminar and the feminist theologians. Now we have William Dever doing the same for Biblical archaeology, and the results are just as interesting. Dever is by no means an evangelical! He does not accept the Pentateuch or Conquest narrative as historical, but on the other hand does not think that the Bible as a whole is fiction either. It is of course, he says, biased even as it reports truth (as no one would disagree anyway, as all historical writing has some bias) but in his view certain people have now gone too far with political correctness, to the point of claiming that Israel as a nation did not exist until Hasmonean times. Much of Dever's book is devoted to case studies and explanatory info on archaeology that any reader would find immensely useful. The rest is a harsh (and warranted) indictment against a fringe element that is more concerned with the feelings of modern people than with reality and data, often, as Dever notes, ignoring the data or explaining it away as forged, or what have you. That, Dever explains with a measure of impatience, is not the way to do study in this area. His discussion of convergences between texts and evidence is particularly helpful. But be prepared for the claims of some of these "revisionists" as he calls them (for example, Israeli archaeology is attempting to cover up the heritage of the modern Palestinians). The impetus behind such theorizing is the same Jenkins saw in his field, only with a good dash of deconstruction added. To such as these Dever wryly replies in a way that shows their way to be self-refuting: "If I perceive their intentions wrongly, I would welcome other readings (that is, if texts really have any 'meaning')." Dever also provides a slight corrective for those enamored with Finkelstein's The Bible Unearthed (Finkelstein is slightly into this deconstruction process, and his theories are not in the mainstream). Dever's voice is a welcome moderation and one we can draw from with profit. In spite of his fundamental disagreements with evangelicalism, his work is a worthwhile read. Early on I decided to make the NT my main focus of study, but for those who are into the OT, this volume is indispensable. The trio begins with a logical demolition of the minimalist historians, those whose eye for tendentiousness is so jaded and fogged over that they think if a Biblical authors says someone says "X," the person in history (if he even existed) never actually said "X" but was used as a tool to express the author's hatred of people who said "X". The minimalists, they show, are using the text as a buffet, and have no consistent methodology; they also have an inbred bias for non-Biblical texts that say what they want to hear (or that they make say what they want to hear). The book also goes over general ideas of historical knowledge (including the use and significance of textual and archaeological evidence) and as such provides an excellent introduction to the subject. The bulk of the book, however, is a chronological survey of evidence related to the OT, and is useful as a reference manual rather than as something to sit down and read through. The tone is even without being stultifying. We recommend it as a reference work that can be used by the average person. James Hoffmeier has an impressive background and he is strongly familiar with both Egyptology and Biblical studies, giving him a unique perspective. Having a broad knowledge of the material available and the research that has been done, he poses this fundamental question: Is the narrative from Joseph to Moses, comprising Genesis 39 through Exodus 15, plausible and compatible with what we know about Egyptian history? As a part of this, other questions naturally arise: Could a Semite foreigner like Joseph arise to a position of prominence? Did the Egyptians employ foreigners in hard labor projects? Do the place-names and features mentioned in the Pentateuch match Egyptian geography? Hoffmeier sets out to answer such questions as these. The book begins with a scan over past study into the early history of Israel, detailing how positive assessments of historicity, such as the Albright-Wright Synthesis on the Conquest, have collapsed in favor of a dominant skepticism. The Documentary Hypothesis is briefly mentioned, as well as the challenges that have led to its decline. Hoffmeier then wraps up this section by commenting on the limits of skepticism. The next major topic discussed by the book is the debate over the origins of Israel. Hoffmeier critiques various theories proposed to explain the development of the Hebrew state, such as a gradual immigration, or a peasant revolt. He concludes that there is little evidence to assert the Israelites emerged from the indigenous population, and the lack of destructive evidence for the Conquest should be no surprise given that, according to the text, Joshua did not follow a "scorched earth" policy. The attention then turns to Egypt as the data is examined for evidence of Semitic migration into the country and for the plausibility of the Joseph narrative. Hoffmeier uses textual evidence to confirm that foreigners would travel to Egypt during times of famine and that a significant Semitic population settled in the Nile Delta. He also finds support among Egyptian texts to show that Semites were appointed to positions of high office, as well as to show the use of foreign slave labor in building projects. The rest of the book is devoted to the geography of the Exodus as Hoffmeier attempts a basic sketch of the route taken by the Israelites out of Egypt and reviews the debate as to what body of water identified by the text did the Israelites cross. Hoffmeier closes in stating that while direct evidence for the Exodus has not been found, enough indirect data supports the plausibility of Israel’s great national birth story. To dismiss the biblical tradition would be premature. The book was not difficult to read, with the exception of some technical discussion on Egyptian and Hebrew linguistics. The author is very thorough in presenting conflicting opinions with their respective strengths and weaknesses. It is not an apologetic written to be persuasive, but a scholarly analysis written to be informative, stating what we can know for sure, and what we may speculate within the realm of possibility. If you are interested in Old Testament history, then have a peek at this book. Those who put together "countering contradictions" books almost certainly face a dilemma. Do they make it short for each explanation, and cover as many different issues as possible, at the risk of doing an incomplete job? Or, do they pick just a few and go into thundering detail on those? Walter Kaiser has selected the happy medium between the two, and the results, despite inevitable shortcomings, is a roaring success. This book selects 73 issues from the Old Testament and resolves them. Many are familiar --- Cain's wife, Rahab's lie, seeing God's face --- but quite a few are bound to be new to the reader. Nothing like being ready for when they do come up in discussion, though. You will find Kaiser to be concise in his explanations and highly readable, though in a few places not giving as much historical background data as might be preferred. We recommend Hard Sayings of the Old Testament as a well-grounded countering contradictions work. There is no disputing it: The first 11 chapters of Genesis have taken a beating in Skeptical circles. In the battle over these chapters, co-authors C. H. Kang and Ethel Nelson have fired a rather unusual secret weapon in the assertion that certain characters of the Chinese language offer recapitulations of some of these Biblical accounts. It sounds like Chariots of the Gods, but at its core, the message is an intriguing one, and the evidence in many cases seems hauntingly correct. Indeed, when I once presented this material informally at a social gathering, it riveted the attention of a young Oriental woman at the front of the audience - who immediately after the presentation rose to confirm what I had been talking about. Kang and Nelson have their own success story: They indicate that their data has been useful in the mission field in China. The key to their scenario is understanding the nature of Chinese characters. A single, complicated symbol may be composed of several compacted, simpler symbols, and it is the premise of these authors that a few of these complicated characters may be dissected in order to tell a story. The full impact of this premise cannot be implemented without being able to actually show the reader the characters in question, but perhaps a few explanations will suffice. Not all of the examples offered are as strong or convincing as these we offer, but they will be enough to whet the appetite of any interested reader. The Chinese character for tempter is composed of three parts: The characters for devil, cover, and two tree characters. This brings to mind at once the temptation story of Genesis, with the devil being under cover and offering temptation involving the pair of trees in the Garden of Eden. Sound odd? Seem like a coincidence? Consider another one. A Chinese character for boat consists of three parts: The characters for vessel, eight, and mouth, the latter used to represent people. Reach back to your Sunday school lesson: What famous vessel (boat) carried eight people? The character combinations, along with the evidence that the ancient Chinese were actually monotheists, deserve a closer look. (In 1994 Nelson released another book on this subject.) For the price offered, this book is definitely worth a look. This book was written before all of the disucssion having to do with "Bible Codes" (Drosnin, Satinover, etc. ), and despite the main title, this book is NOT about the Bible Codes. This is a far different and far more valuable sort of book. In fact, it is just the kind of book he who believes that the Bible ought to be read "like a newspaper" needs to read. The Bible is not a newspaper, but a complex composite of documents varying in form, function, and diversity. I recommend this book highly as a companion to Stein's Playing by the Rules. It's coverage is limited to the OT, but the careful student will easily see applications to the NT as well. The book is edited by a professor of OT with a degree in Semitic Studies and Hebrew, and a professor of NT with a degree in classical studies; it contains over a dozen essays written by scholars of similar qualification. The first three chapters offer general guidelines for consideration of genre and context. (Among the gems: "Ignorance of this level of context [that is, genre] leads to some of the worst mistakes of interpretation." ) The next several chapters examine individual genres of the OT: narrative, history, law, oracles of salvation, announcements of judgment, apocalyptic and prophecy, lament, praise, proverb (see especially the section, "Are Biblical Proverbs Always True? "), and non-proverbial wisdom (riddles, allegory, parables, dialogue, fable, etc.). The final chapter offers advice to pastors and teachers for application, with an appropriate dismissal of ethnocentric readings of the text. Most of the chapters include excellent recommendations for further reading. This is an exciting book, a must-read for anyone seriously studying the Bible. This book is an essential, for it does for the OT was F. F. Bruce did for the NT, which is not surprising, since Bruce's work is what prompted Kitchen to write this book in the first place. The "mini-empire" of David and Solomon, far from being peculiar, would be typical of units that existed in the period from 1200-900 BC, such as "the mini-empire of Carchemish" that held portions of SE Asia Minor, northern Syria, and the west bend of the Euphrates [98ff]. Critics who say a Pharaoh would never have married a daughter to Solomon are applying texts from outside Solomon's period. Things changed by four centuries later, when the records show that some Pharaohs did give away their daughters in marriage . Kitchen also replies to those who think it absurd that Solomon was given the "smoking ruin" of Gezer as a dowry: In fact, this was prime property, a "(partially?) cleared fortress town-site open to be developed in any way he wished..." and on a major route in need of guarding. Kitchen emphasizes something critics of Joshua tend to miss -- that Joshua did not immediately occupy towns he defeated; hence claims that archaeology shows no settlement at the right time are missing the boat [162f]. Kitchen takes on the minimalists with gusto (particularly T. L. Thompson), as well as the near-minimalist Finkelstein (The Bible Unearthed). He also has a few numbers to do on moderates like Dever, but not as much. There is also a brief treatment of the JEDP theory. Make this one yours and be prepared to use it. It takes a big shovel to overturn scholarly consensus, and in my estimation, David Rohl is hefting a fairly large spade. Despite the subtitle, Rohls research did not begin as a Biblical quest, but as a quest to resolve difficulties he perceived in the Egyptian kingly chronologies - difficulties noticed as long ago as Isaac Newton. What Rohl deduced turned out to be as useful for the Biblical chronologies as it was for the Egyptian ones. Whats the lowdown? Rohl proposes a fairly significant shift in the Egyptian timeline. The lines of evidence for his case come from quite a divergent set of data: The inadequacy of the current chronology, and the thin foundation upon which it rests; campaign inscriptions, burial tombs, riverbank flood marks, and most incredibly of all, the much better fit of his new chronology with data in the Biblical record, right down to the most precise numbers. The results? David is a contemporary of Akhenaten and Tutankhamen, and both he and Saul are mentioned in the Amarna correspondence; Jericho did indeed fall to the Israelities as described, in the Middle Bronze Age; Moses was indeed, as Josephus records, an officer in the Egyptian military involved in their campaign against Ethiopia - the list of Biblical confirmations goes on, and becomes more astounding as we read. Rohls work has been well received in some quarters; you may have seen the television version, and one of his biggest critics is Kenneth Kitchen (above). But if it does indeed bear out, we may expect to have to wait for the current generation of Egyptologists to die out before the new chronology gains wide acceptance. I can say this: The old school will have a tough time countering Rohls carefully-constructed results. The unfortunate tendency of certain scholarly circles to chop the Pentateuch into multiple sources later sewn together by a group of clumsy redactors has a needed corrective in studies like this one that examine the Pentateuch as a unified work of literature -- and thus make theories of redactors superfluous. JEDP is not dead yet, thanks to the lack of a replacement, but The Pentateuch as Narrative serves well enough as yet another stake in its heart. Sailhamer's book, you should be forewarned, is not one you settle into a chair with in front of the fireplace. It is best read as a reference source, or with large breaks in between -- some might say, like the Pentateuch itself with all of its laws! This work is really a sort of anthology of literary, cultural and social data that, although very much a dry read, should prove indispensable to the student of Pentateuchal studies who is thoroughly dissatisfied with the ruling yet dying JEDP paradigm. Think of it as an investment. Skeptics spread a lot of mythology about the OT not having certain beliefs about the afterlife, but Johnston collects the data, collates it with parallel data in secular sources, and shows that such a view of the OT is unwarranted and unreasonable. This narrow-interest book is written with a popular audience in mind and will not leave you scratching your head wondering what the man said. We recommend it for serious students with a special interest as well as for general apologetics. Do the Books of Kings and Chronicles put you into a royal tizzy with all those reigns and numbers? After reading this book, that will be one less thing that you have to think about. Thiele has put things into sensible order - and proven the reliability of the regnal data from the Books of Kings and Chronicles. Co-reigns. As today, a king may appoint his son as co-regent while still alive. Different starts of regnal years. Problematically, Israel and Judah started their regnal years in different months for most of their history - although Judah switched methods for part of their history, which has contributed greatly to the confusion. Thiele takes these and other considerations into account, and the result is stupendous. Not only does he achieve a chronology for the Hebrew kings that accords with the Bible; he also makes a perfect fit with records of other cultures. This truly amazing project is one of a kind, and is well worth being acquired - even if you have no particular need for the material. Studies in biblical history and archaeology are divided along the maximalist-to-minimalist spectrum. The maximalist/conservative view has been largely assumed by many to have been overturned, but it appears that maximalist scholars are now in the process of mounting a counteroffensive. One such work is On the Reliability of the Old Testament by K.A. Kitchen, professor emeritus of Egyptology at the University of Liverpool. His massive volume is just now being joined by The Future of Biblical Archaeology: Reassessing Assumptions and Methodologies , which consists of a series of essays by such personages as William W. Hallo of Yale University and Steven Ortiz of New Orleans Baptist Theological Seminary, whom I met briefly in Israel while participating in an archaeological dig. This resurgence seems to have begun with a comparatively slim volume that came out in 2002. Windows into Old Testament History: Evidence, Argument and the Crisis of "Biblical Israel" also consists of a series of contributor essays, but only runs 212 pages. The purpose of the book is both specific and broad: specific in that it seeks to repudiate the radical minimalists of the "Copenhagen School" and broad in that it addresses a range of issues involved in studying the Bible. It is truly an international effort, put together by scholars from America, Canada, England and Denmark - specifically, from a Lutheran seminary in Copenhagen itself, the city that is home to the most prominent minimalists. The first essay critiques the methodology of the Copenhagers, who operate on the basis of a profound distrust of textual data and instead prefer the supposed "hard facts" of material remains uncovered by archaeology. Of course, the stones do not literally cry out - we need ancient documents to interpret mute rocks. The minimalists also reject historical validity for the Old Testament books because they have ideological or theological purposes. That they are ideologically slanted is undoubtedly true, and the OT writers are selective about their facts. That this means they necessarily must create fiction or distort the facts beyond recognition as history is an assumption. The second essay is very dense and would be better understood by someone who is conversant with philosophy of language. The next three essays address external evidence that sheds light on what we can possibly affirm about the Bible as history. Richard Hess discusses the extent of literacy in ancient Israel as demonstrated by inscriptional evidence. Alan Millard compares the biblical materials to historical and legendary writing in Mesopotamia. After that, the ever-entertaining and ever-knowledgable Kenneth Kitchen demonstrates that an Israelite "mini-empire" under Solomon is certainly conceivable and cannot be simply explained away as a retrojection based on the writer's experience of the Persian Empire. The next two essays are case studies that analyze specific passages in the Book of Chronicles. This work is widely acknowledged to have been completed long after the Babylonian Exile (ca. 586-515 BC) and is thus assumed to be one of the most unhistorical books of the Bible. Yet the authors of these essays highlight clues that indicate the Chronicler had access to authentic pre-exilic sources and is attempting to relate history, albeit with different goals than the writer of Kings. The last essay by Iain Provan is the most refreshing. He argues that he does not defend the Bible as a valid source of history because of his religious beliefs but because the Bible must be treated the same way other ancient sources are treated. He notes that we do not conduct our daily lives with the hyper-skeptical "hermeneutic of suspicion" of the Copenhagers. He asks what history we could claim to "know" if we demanded the kind of certainty the minimalists call for, and provides the answer - "Very little." What is needed, he says, is a hermeneutic of openness in which we allow the text to serve as a testimony and then later consider whether other sources of information falsifies its claims. This was an illuminating book to read, although I do not recommend it to someone who hasn't learned some of the basic issues of biblical history. This book probably is intended for those with a fair amount of education anyway, as it leaves lines of Hebrew and quotes from German scholars untranslated. Nevertheless, even a novice can get a lot out of most of the essays, and Windows can serve as a solid introduction to maximalist biblical scholarship. Preliminary Movement - The text should be examined for the direction of movement from the background culture. If it appears that further movement is possible and advantageous in subsequent cultures, then this criterion favors the cultural basis of the specific Scriptural stance and urges continued progress in the direction of motion already begun. Seed Ideas - If certain portions of Scripture contain hints, in "seedling form", that the ultimate ethic lies beyond the explicit Scriptural stance, then this should be used to guide further development. 1 Corinthians 7:21 serves as an example in SWH . Breakouts - On occasion, Scripture relays episodes in which characters favorably violate what would otherwise seem to be the norm, such as female leaders such as Deborah or the triumph of the left-handed Ehud. These indicate that the norm is probably not absolutely binding and transcultural. Purpose/Intent Statements - If the current static application of a text would undermine the stated purpose of the injunction, the text itself is more inclined to be cultural. For example, Webb cites the practice of exchanging a "holy kiss", which today in the North American church would be more likely to introduce alienation or abuse than to draw believers closer together in spiritual intimacy . Basis in Fall and/or Curse - Texts may exhibit transcultural character insofar as they tie their contents into a universal event, such as the Fall/Curse. However, there is also an underlying principle by which Christians are to fight the effects of the Curse, and so this matter must be weighed carefully. Original Creation, I: Patterns - If patterns in the original creation are used as legitimation for components of a text, then it is somewhat more likely to be transcultural. But, even more so than with criterion 5, this is a criterion subject to many subtle nuances. Original Creation, II: Primogeniture - A text is deemed more likely to be transcultural if the chronological order of events in the original creation is invoked. However, as Webb's subsequent discussion bears out, this can have a substantial cultural component when people are involved. New Creation - If a text is rooted in the theme of new creation, it is more likely to be transcultural. This is considered a generally stronger criterion than either of those referencing the original Edenic order. Competing Options - If the culture in which the biblical authors wrote had several differing options of thought, such that the authors would have needed to actually consider multiple options, the judgments passed in Scripture are more likely to be transcultural. Opposition to Original Culture - A text is more likely to be transcultural if it goes against the grain of what is common in the surrounding culture. Closely Related Issues - If matters deemed "closely related" to a given judgment are culturally bound, then that judgment may also be more likely to be cultural in nature, so long as a logical relationship or link exists. Penal Code - If the punishment for an act is either light or barely even mentioned, its condemnation is more likely to be cultural. Specific Versus General - If the specific instructions of a text seem at odds with the larger, more general principles of Scripture, there is an increased likelihood that the text is culturally relative. Contextual Comparisons - A text is more likely to be transcultural if other elements in the very specific context involved are transcultural. Webb cites mixture laws in Deuteronomy 22 and various NT lists of virtues and vices as examples [192ff.]. Appeal to Old Testament - Discontinuity between the OT and the NT on an issue is a likely indicator of cultural aspects in the issue. Continuity is far less helpful for making any such judgments. Pragmatics Between Two Cultures - If the practical basis for an instruction cannot be sustained from one culture to another, then the specific instruction is likely to be culturally bound. As an excellent example, Webb cites Leviticus 19:10, noting that while it would have assisted the poor in ancient Israel, application of the isolated text in modern American agriculture would probably help no one and simply waste crops . Scientific Evidence - Finally, if modern scientific evidence seems contrary to some component of a text, this is grounds for investigating the possibility of a culturally bound nature. Aside from the issue of geocentrism and heliocentrism, Webb chiefly cites some Scriptural references to women before tackling considerations of homosexuality. Webb applies each of these, insofar as possible, to the three thorny issues of slavery, the status of women, and the appropriate Christian stance on homosexuality, from which SWH derives its title. (Only in such a book as this could slavery ever be termed the "neutral example"!) When the smoke clears, it can be seen that what Webb set forth at the beginning looks to be correct: that a redemptive-movement hermeneutic leads us in the direction of abolitionism and beyond with respect to slavery, and to complementary egalitarianism or "ultra-soft patriarchy" with respect to women, but still compels the Scripture-honoring Christian to assess homosexual activity in a negative light, while displaying a spirit of love and graciousness to all. While the redemptive spirit of the text moved in the direction, from the original cultural background, of improving the lot of slaves and women, it moved also from permissibility of homosexuality to explicit divine statements against it. Throughout the course of SWH, Webb shows a willingness to grapple with some of the most difficult and controversial issues in the interaction between biblical ethics and modern culture. He spends a great deal of time analyzing 1 Timothy 2, and of the four appendixes, two are explicitly related to it, while the third ("Research on Detecting Deception") applies to the same passage in terms of Criterion 18. The fourth appendix deals with 1 Corinthians 11:8-9 and women. SWH comes with recommendations from Craig Evans, Craig Keener, and Darrell Bock. I see no reason not to echo their judgment: this book is a great contribution to the specific topic it was written to treat. It's certainly thought-provoking, and I can safely say that ideas gleaned from this book are bound to toss certain anti-Bible crusaders for a loop. Never would I have thought that I could give a positive review to a book recommended to me by a skeptic. But I guess life just has to make itself weird sometimes. My church had a seminar on the creation/evolution debate a while back, and one visitor who dropped in was a skeptic who would tell the speaker, “Eighty percent of what you said tonight is bunk.” He brought along a three-ring binder filled with all sorts of stuff, and during a break I managed to talk with him and discuss some matters. I learned that he believed in the development of Christianity from Mithraism, and so at the end of the evening I gave him the URLs for Tekton and Christian Think Tank, as well as my e-mail, and I told him to write me if he had any questions or wanted to discuss something. What has followed has been a brief e-mail debate. Early on when I was answering some of his claims I told him he needed to provide documented support from scholarly sources. In his reply, he ranted that he has one hundred books on religion in his library, particularly an extensively footnoted and scholarly work called Persia and the Bible. I went online to see what I could learn about this book, and I was surprised to find it recommended by an Iranian Christian web site. So I went to my local library’s spot online and found the book in the database, and a couple of days later I checked it out to have a glance. What I found was indeed a scholarly and comprehensive work that surveyed Persian history and its points of association with the Scriptures. Edwin Yamauchi details the ancient history of the area from the Medes to the conflicts with the Greeks. Along the way, he writes extensively about leaders mentioned in the Bible, such as Cyrus, Darius, and Xerxes. Yamauchi also comments on the historicity of Biblical passages where Persia plays a role, such as the accounts of Ezra and Nehemiah and the book of Esther. Persia and the Bible closes with studies on Zoroastrianism, the Magi, and Mithraism. This is quite a large book, and while I have found it very useful I would only recommend spending your money on it if you’re really interested in Persian history as a tool to help understand the historical background to parts of the Bible. But if that is an interest of yours, then this book will not disappoint.